Office Gift Exchange | Where to Start? The time has come, an office gift exchange is on the horizon, and you (like most people) and no clue where to start. Purchasing gifts for co-workers can be very tricky and buying a neutral, universal gift is always your best bet. Often times we are close with co-workers, but given the business aspect of the relationship, true interests/opinions are not revealed and conversations are typically work-related. The most difficult part is, office gift exchanges are supposed to be secret, so you technically cannot ask your co-worker what he/she likes and dislikes. When such is the case, investigative procedures can be taken. For example, if another co-worker is closer to the person you are purchasing a gift for, slyly ask them what John/Jane Doe would like. It can’t hurt as long as the code of silence is kept intact. 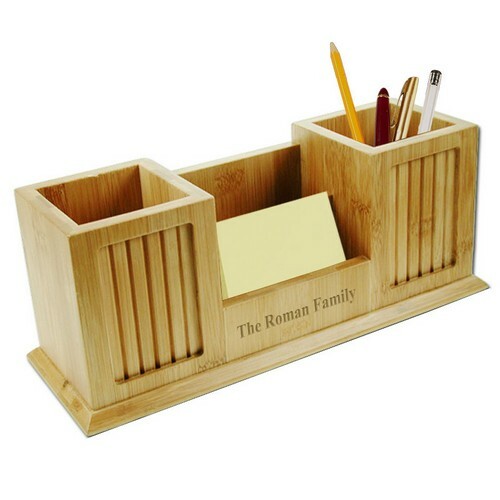 Who doesn’t love a nice desk organizer? How about a slick picture frame? Simple but functional gifts like this can be used for many years and are useful to anyone regardless of age, gender and interests. Cooking and kitchen accessories are always a good gift. This includes Personalized Coffee Mugs, BBQ Gift Sets, Unique Kitchen Jars, and much more. After all, everyone has to eat! Now, when the gift exchange comes around, you can consider yourself prepared.